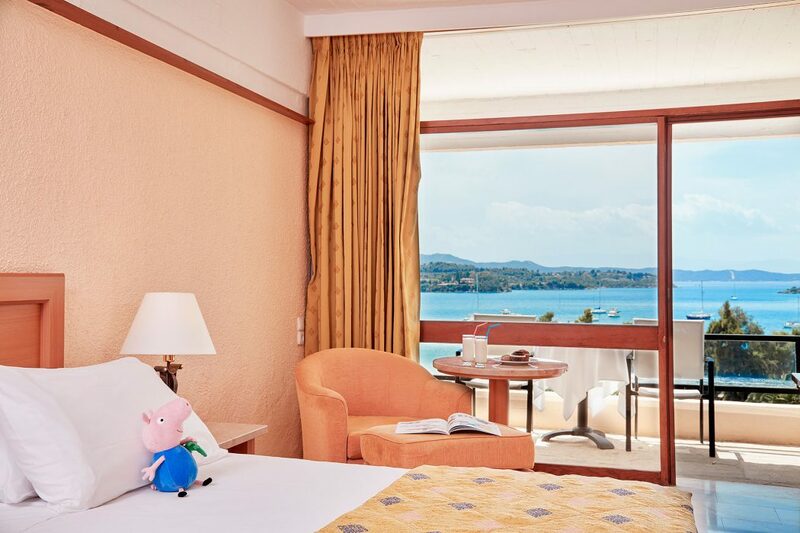 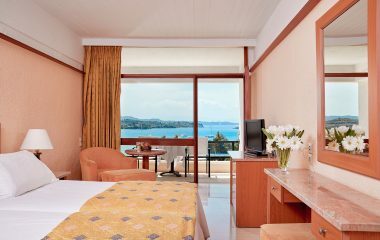 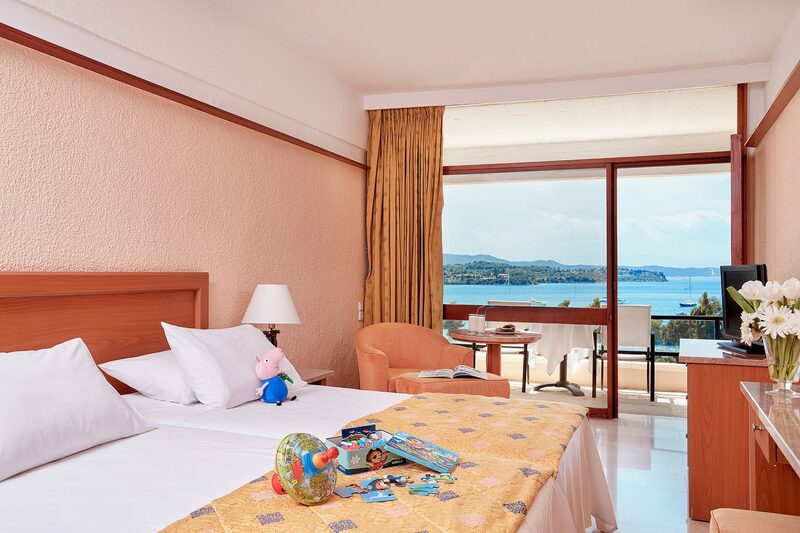 By choosing the interconnecting rooms with sea view, you thus ensure the tranquility that your family needs on your vacation, while at the same time guarantee the immediacy between rooms for truly unforgettable family moments. 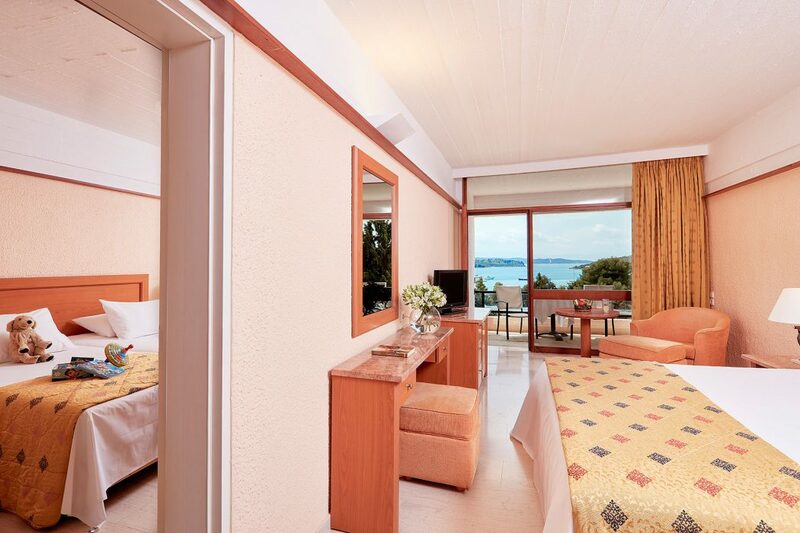 The two rooms are connected by an internal door and are 24 sq.m. 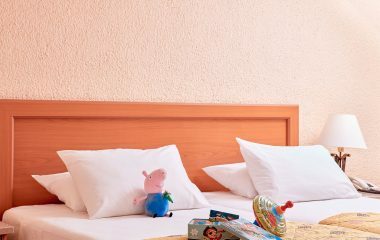 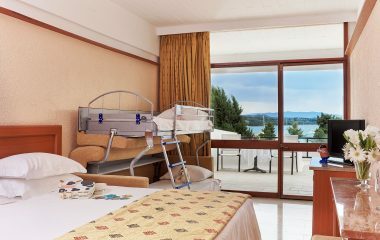 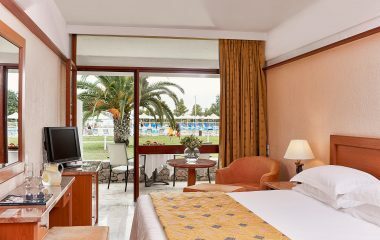 each, they overlook the sea and the cosmopolitan bay of Porto Heli and are suited to host families with two, three or four children. 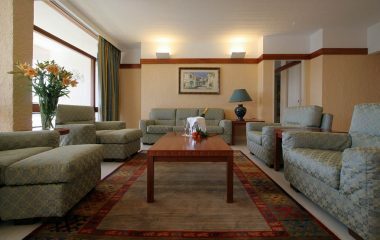 In addition, each room has a spacious marble bathroom, air conditioning, a fridge, a TV, telephone, hairdryer & a private balcony.